Soft and chewy cookies loaded with chopped walnuts and flavored with maple syrup and just a hint of molasses. Very simple and easy to prepare, you basically mix everything in a bowl, drop mixture into baking sheet and bake until golden brown. 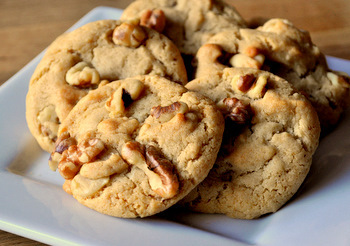 Here's is an easy dessert recipe for Maple Walnut Cookies. 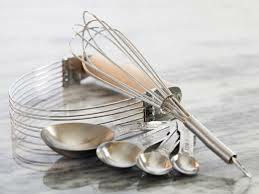 Combine maple syrup, molasses, butter and eggs in a bowl and cream using an electric mixer. Add in flour and chopped walnuts. Mix until just combined. Drop mixture by teaspoonfuls, 2 inches apart, onto ungreased baking sheets. Bake at 350°F (175°C) for 7 to 10 minutes or until golden brown. 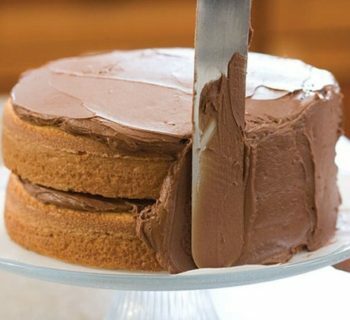 Serve with coffee, tea or milk. 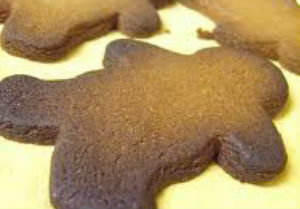 Store Maple Walnut Cookies in air-tight containers.